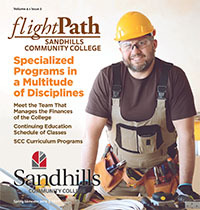 The Advanced Manufacturing Program at the Sandhills Hoke Center offers high-tech, in-demand career training through state-of-the-art equipment designed to meet the growing demand for skilled workers. 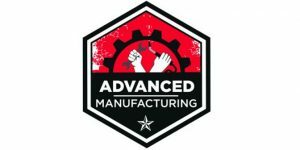 Through partnerships with local employers, the Advanced Manufacturing Program aligns class offerings and curriculum to provide employers a pipeline of skilled workers with job-specific skills. “Mechanical Power Transmission Fundamentals Level 2” covers the various mechanical power transmission technologies and their applications. Students will perform and understand safe proper service procedures, tools, proper installation and set-up procedures, and equipment necessary to analyze and repair standard industrial equipment. Emphasis is on mechanical equipment troubleshooting and repair, including conventional techniques and methods. “Mechanical Power Transmission Fundamentals Level 2” will be held on Mondays and Wednesdays, Jan. 7-June 5 from 6-9 p.m. The cost is $185 plus the cost of the text. “Mechatronics Level I” will be held on Mondays and Wednesdays, Feb. 18-Sept. 18 from 6-9 p.m. The cost is $185 plus the cost of the text. Seats are still available for these classes. To register in person, stop by the Sandhills Hoke Center at 1110 E. Central Drive in Raeford. You can also register by phone at (910) 695-3980. Registration hours are Monday through Thursday, 8 a.m. until 5 p.m. and Fridays from 8 a.m. until noon.